Ryan Giggs has the most Premier League appearances and is the only player to have appeared in each of the first 22 Premier League seasons. 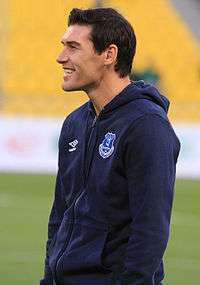 Gareth Barry is the current Premier League player with the most appearances. Since the Premier League's formation at the start of the 1992–93 season, 12 players have managed to accrue 500 or more appearances in the Premier League. The first player to reach the milestone was midfielder Gary Speed, in representation of Leeds United, Everton, Newcastle United and Bolton Wanderers; his 500th match was Bolton's 4–0 win over West Ham United on 9 December 2006. Speed held the record for most appearances until 14 February 2009, when goalkeeper David James played his 536th match, for Portsmouth against his former team Manchester City. 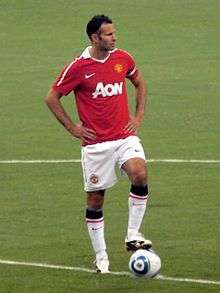 James ended with 572 appearances, a record which was broken by Ryan Giggs on 14 May 2011, having played all of his matches for Manchester United. The only player from outside the United Kingdom to play 500 Premier League games is Australian goalkeeper Mark Schwarzer, for Middlesbrough, Fulham, Chelsea and Leicester City. Italics denote players still playing outside the Premier League. ↑ "Bolton 4-0 West Ham". BBC Sport. 9 December 2006. Retrieved 28 October 2015. ↑ "David James". The FA. Retrieved 28 October 2015. ↑ Smith, Ben (16 November 2012). "Rejuvenated David James sets his sights on a new landmark". BBC Sport. Retrieved 28 October 2015. ↑ "Schwarzer first overseas player to join 500 club". Premier League. 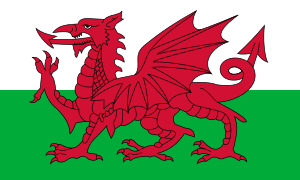 22 April 2013. Retrieved 28 October 2015.